The robust healthcare system that Iraqis were once accustomed to has changed substantially in the past decade, but one of its most drastic upheavals has seen citizens this week being asked to pay for services that had been provided free of charge since 1970, the London-based Al-Araby Al-Jadeed reported. The falling price of oil, which dipped below $27 a barrel last week, was one reason the policy was changed, as Iraq depends heavily upon exports of the commodity. Another factor was the costly fight against the Islamic State group, or ISIS, which controls portions of Iraq. "I have to sustain the war [against ISIS]. I have to sustain the economy. With all other expenditures, it's tough," Iraqi Prime Minister Haider al-Abadi told CNN during the World Economic Forum in Davos, Switzerland, Friday, prior to the news that healthcare would no longer be free. He said it cost Iraq $11 to pump one barrel of oil that might sell for $22. Iraq's fiscal deficit has been exacerbated in the past year by higher spending on fighting the Islamic State group, even as it struggles to come up with funds to pay soldiers and militias engaged in that battle. But for ordinary Iraqis, scrounging for enough dinars to pay for visits to the doctor, X-rays or medicine is also a challenge. 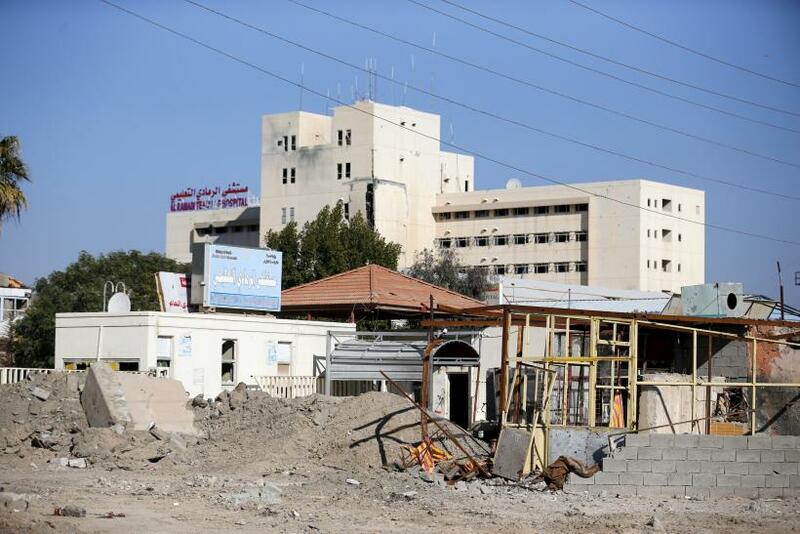 A hospital visit might cost up to $45, Middle East Monitor reported, in a country where poverty rates are rising and 23 percent of the country's citizens live on less than $2.20 a day, according to United Nations statistics. Iraq's free and centralized healthcare system was developed in the 1970s, importing medicines, equipment and medical personnel to fashion a Westernized system that gave 97 percent of urban Iraqis and 71 percent of rural ones access to free primary care. With it, infant and child mortality dropped. That system began to fall apart after the 1991 Gulf War, which damaged infrastructure and sent medical workers fleeing from the country while simultaneously decimating the country's health budget. International sanctions took their toll, too, although the Oil For Food program allowed $4.8 billion into the country for medical supplies from 1996 to 2002. The U.S. invasion in 2003 further destroyed medical care, driving doctors from the country, leaving damaged clinics and hospitals unrepaired, supplies of medicine and basic medical technology scarce and allowing corruption to reign in the sector. In 2011, 40 percent of Iraqis described the quality of healthcare services where they lived as bad or very bad, IRIN News reported. In October, Iraq's minister of finance projected that the country's deficit would reach 11.9 percent of GDP in 2016, or $22 billion. Of its overall budget of $105 billion, more than 70 percent typically goes to public sector spending, including salaries and pensions for government employees, Reuters reported. At least 80 percent of the country's revenues were expected to come from oil in 2016.